I'm trying. I'm really trying! But when it's 90 degrees outside, it's very hard to get that "Fall Feeling!" But I am planning. 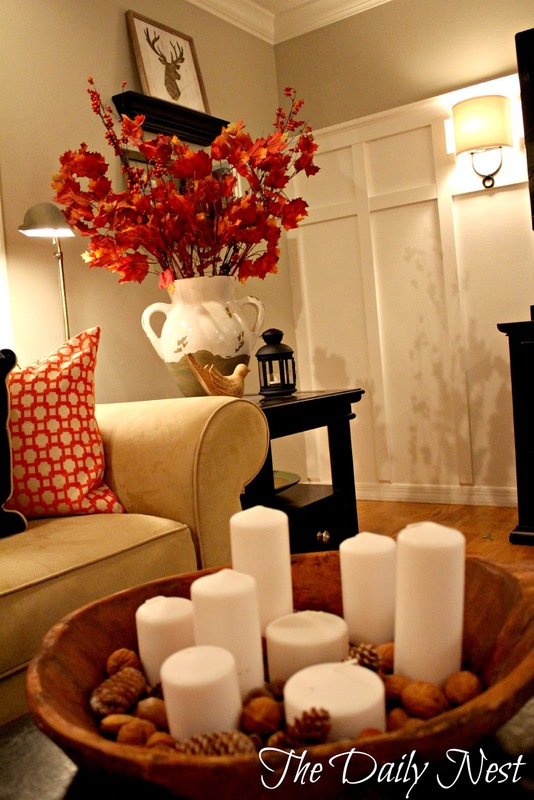 And no matter what holiday rolls around I always make a checklist of what I'm planning to do to my home. Because I really don't do the same thing every year. I might use some of the same materials, but things like the color scheme might change, and also where I place certain items. Some things might be used inside one year and then I might use them for my front porch the next. I know I'm a wild woman! This is my starting point a few leaves, some candles and nuts in an antique dough bowl…and from this it will grow and grow! So I thought I would share with you my checklist for Fall. 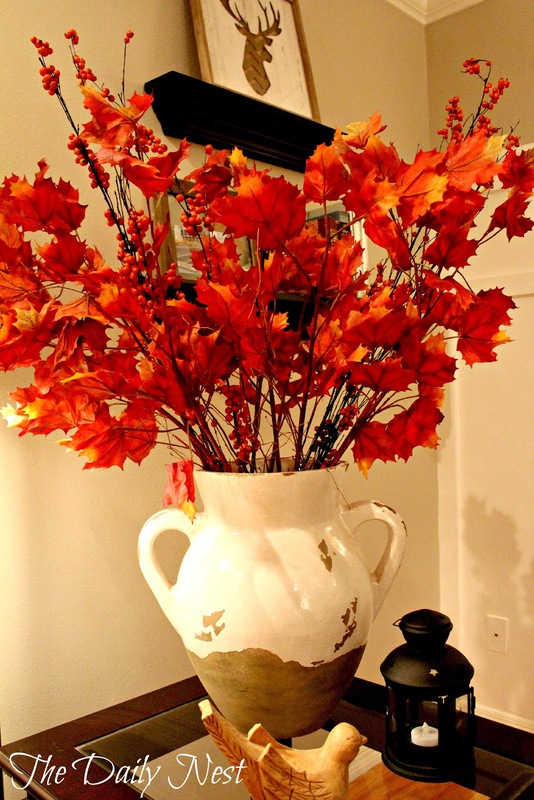 Hopefully you'll find it helpful in getting organized so you too can get that "Fall Feeling!" Most of these items can be picked up at your local craft store, grocery store or farmers market. I also tend to stay away from Halloween decorating and just stick with mainly Fall related items because that way I can keep them up until Christmas. 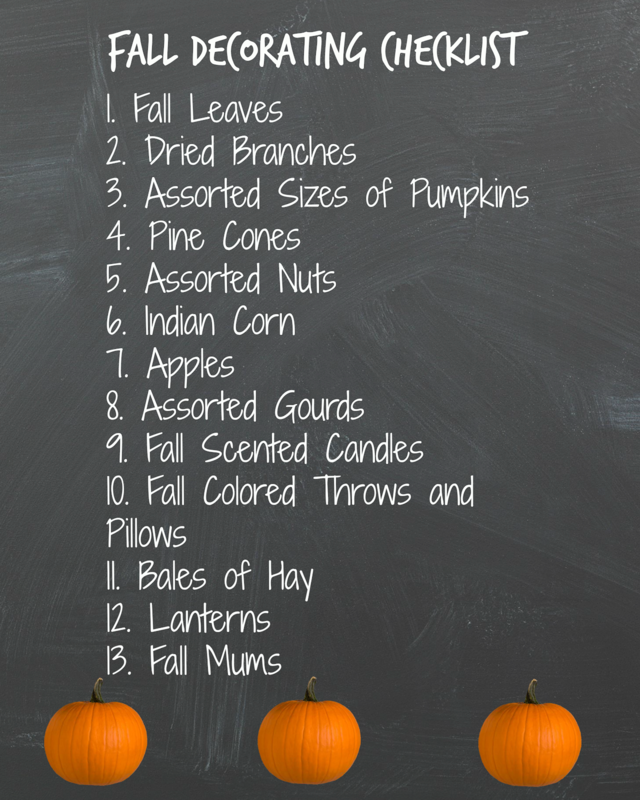 I'm sure that if you have some or most of these items you will have a warm, and homey home for Fall. Is it cooling down in your area?